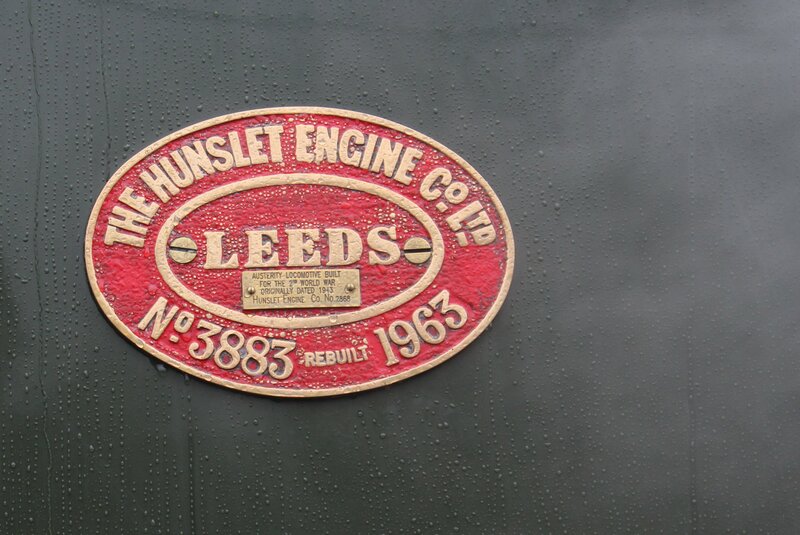 Regular readers of this blog will know that I have long had a soft spot for the humble Hunslet Austerity saddle tank. 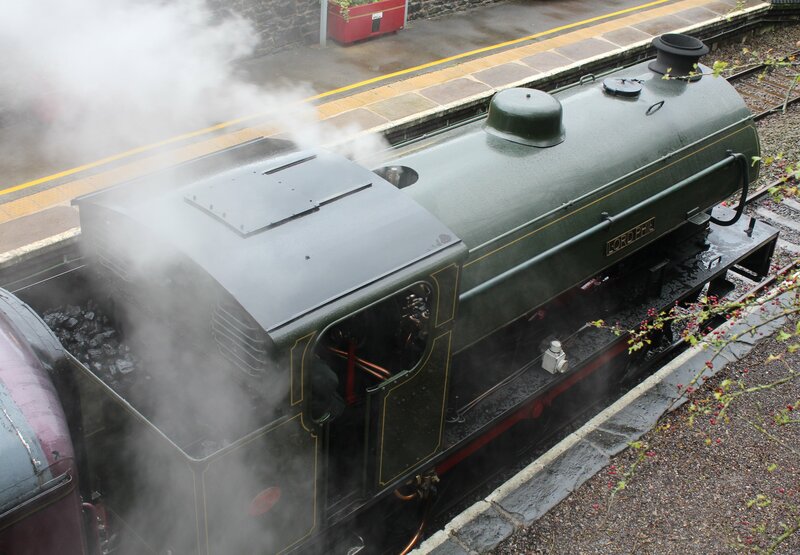 They are the most common class of standard gauge steam locomotive in the UK and it is probably for this reason that they are generally not well-regarded amongst many steam enthusiasts. I have written before about why the type deserves more respect (click here to read more) so I won’t tread on old ground here. However it is needless to say that I wasn’t put off by the prospect of riding behind a member of the class on a recent visit to Peak Rail (click here to read more of this visit.) Particularly when the locomotive in question was push-pulling with a class 14 diesel shunter (click here to read more), another favourite of mine. As a class Hunslet Austerity’s share something in common with the class 14 – their career’s with private owners (including preservation) are more significant than those on the mainline. 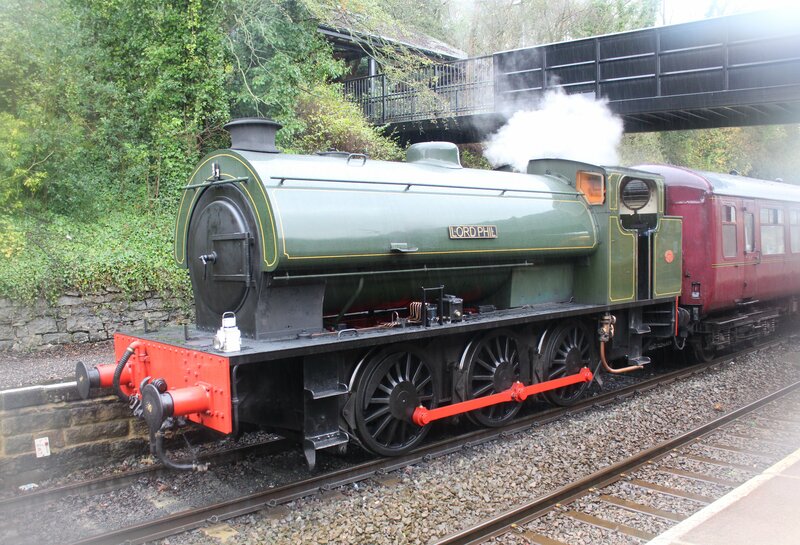 Contrary to popular belief, not all Hunslet Austerity saddle tanks can be called class J94. The J94’s account for only the 75 members of the 485 Hunslet Austerity class members that were constructed. The J94’s were those purchased by the LNER, that lived on into British Railways service. They differed from other Austerity’s with their addition of cab seats and side doors, plus LNER standard lamp irons were fitted. the vast najority of over 400 Hunslet Austerity tanks were not J94’s and therefore were not used on the mainline. Lord Phil was originally built as Hunslet 2868 in 1943 for the War Department and as such was one of the first of the class to be built. Interestingly in 1963 it was given a new lease of life and rebuilt as Hunslet 3883 as a trial for the Hunslet underfeed stoker and gas producer combustion system (GPCS.) This particular example was used for dynamometer car trials at Kingham in April 1963. It is interesting to consider that whilst British Railways were scrapping their steam engines, some industrial types were being modified to improve their performance. Steam it seems, still had a future for industrial use. The equipment unfortunately was removed before preservation. 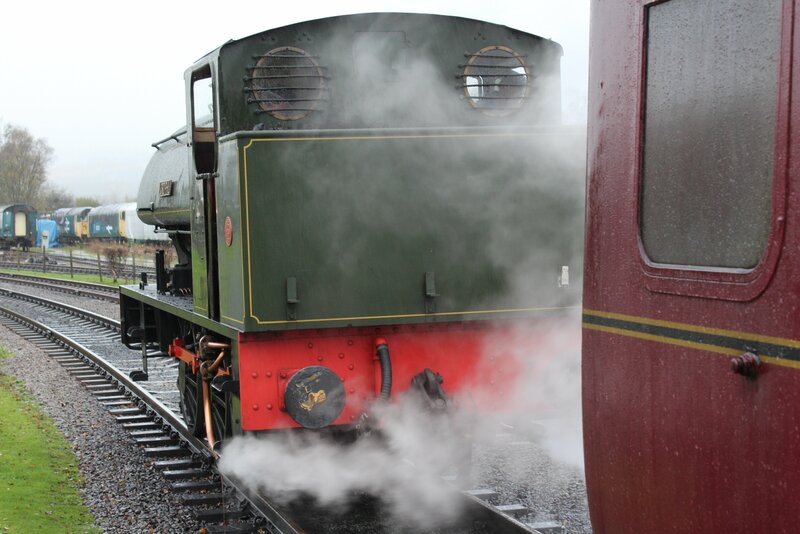 Despite the terrible weather conditions, I enjoyed riding behind this locomotive in a recent visit to Peak Rail, a visit that I will talk about further in a later blog post. For now, I’ll leave you with pictures “Lord Phil”. Thanks for reading! Will be interested to see what you have to say about Peak rail, I nearly visited this year, then our holiday changed because of the owner of the cottage. Of particular interest to me is their LMSCA which seems to be doing some impressive work on the LMS coaches, so I look forward to it. Hunslets? Hmm, can’t say they really do it for me, but infinitely better than a diseasel!